Capita Group has acquired Expotel for £16m in a deal that sees it enlarge its events and meetings capacity. The agreement brings together BSI, Expotel and Venues Event Management in one group. Capita Group bought BSI for £42.5m in December 2010, while Expotel took over Venues Event Management the month before. The aim of the acquisition is to add scale to Capita's existing operations in the business travel market and offer additional events and meetings management capabilities. Expotel's current clients include National Grid, Virgin Media, the Scottish government and BP. 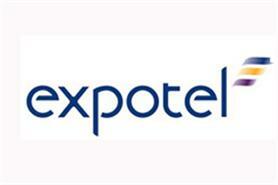 Expotel made an operating profit for its financial year to 31 October 2011 of £3.2m on turnover of £16.3m. Capita chief executive Paul Pindar said: "The addition of Expotel will bring both significant additional expertise and greater scale to our UK focused corporate travel business. "Expotel also brings considerable experience in venue and event management, which, alongside our existing business, creates a proposition of genuine scale and depth in this fast growing area of the market." The combined company will employ nearly 900 staff in 10 locations. "In particular, with the public sector needing to drive down travel and subsistence costs, it will be in a strong position to help local and central government achieve these aims," added Pindar. Capita's business travel arm is based in Derby and managing director Trevor Elswood said the acquisition is "great news for current and future customers of Expotel, BSI and Capita Business Travel". He added: "[Clients] will gain significant benefits in service and choice as we align these leading providers. We have significant scale and expertise covering rail, air and accommodation along with, now, extensive experience in venue and event management which positions the business to take advantage of the fast growing meetings market. "The acquisition is also consistent with our strategy of bringing together the industry’s best specialists to create a unique UK travel management proposition in addition to offering leading specialist services in each individual area."